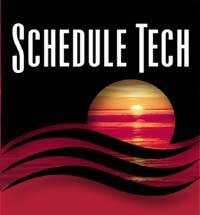 VacationScheduler generates many employee vacation request reports. Report flexibility is a by-word. * Reports can be previewed on the screen or sent to your printer. * Print the entire report, one page or a range of pages. * Print the data for one company, or one department or a work center. * Print the data by employee name, number or seniority. Copyright © 2010 Schedule Tech. All Rights Reserved. Copyright © 1998 Comstock Photos. All Rights Reserved.